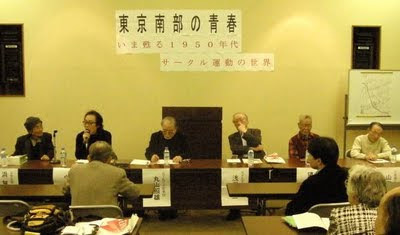 On November 11, the Tokyo Metropolitan Board of Education went ahead with "recurrence prevention training" on Ms. Kimiko Nezu and Ms. Junko Kawarai shortly after it imposed punishment on them with six-month suspension for their refusal to stand up and sing Kimigayo, the national anthem of Japan (in a graduation ceremony at school). 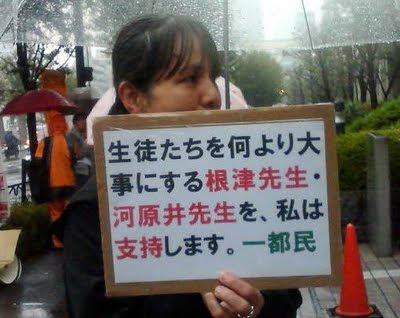 Early in the morning, despite downpour of rain, about 40 supporters gathered at the Metropolitan Teacher Training Center at Suidobashi to raise voices in protest. With no reason given for the training and no response made to several instances of appeal action, their furor toward the board of education was boiling. 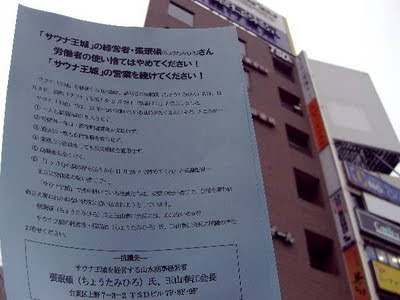 On this day again, they had a letter of request prepared to be totally ignored. 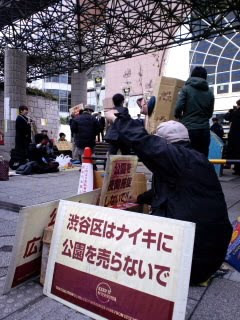 The representative of the Association against Dismissal for Kimigayo attempted to enter the premises of the Center, saying "At least you should receive this," the board personnel hurriedly formed a human barricade. 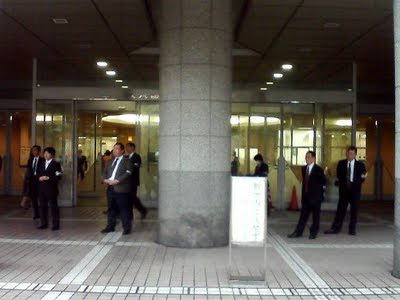 In push and shove at the entrance, they eventually received the request though unwillingly. 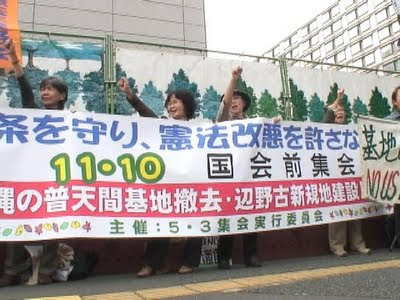 During lunch break on November 10, 100 citizens got together in front of the Second Diet Members' Building for the House of Representatives to stage a rally "Article Nine Revision Blocking Association's Nov 10 Diet Building Sit-in." 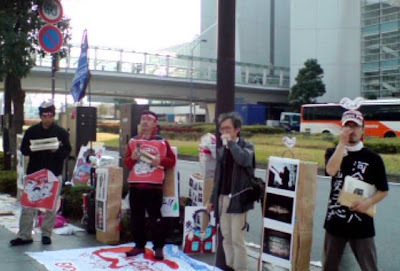 The Okinawan delegate unanimously expressed their anger at the irresponsible behavior of the Hatoyama administration concerning the policy toward Futenma Airbase. 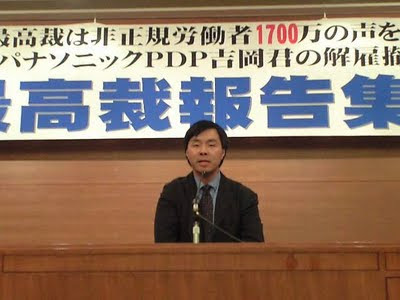 Mr. Ashitomi, representing Nago Council against the Helicopter Base Construction in Okinawa, expressed strong anger saying, "What's going on in the mind of Foreign Affairs Minister Okada when he mentioned his plan for integration of Futenma Base with Kadena Base happening? 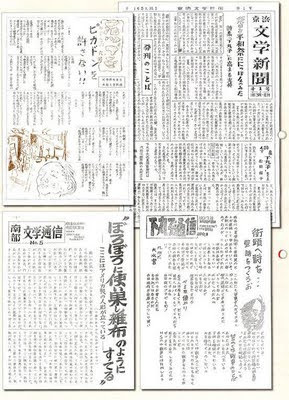 What is Prime Minister Hatoyama thinking about when he tolerated it?" 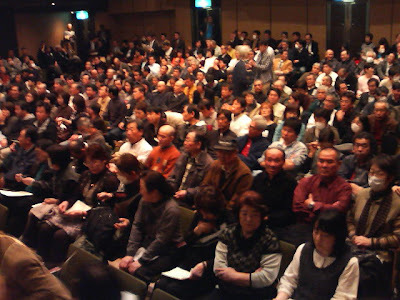 The delegate's appeal action toward the Hatoyama administration and Diet members takes place on November 10 and 11 as President Obama's visit to Japan is scheduled on November 13. 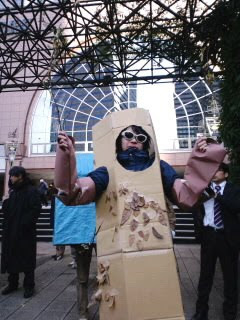 (Masanori Yumoto) See animation (Uniontube). 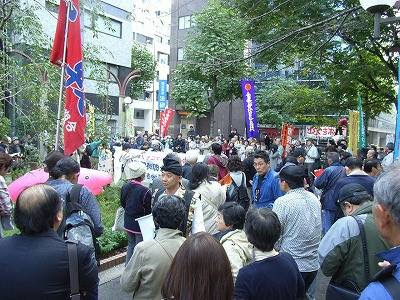 With the issue of extra-prefectural transfer of Futenma Airbase in Okinawa developing rapidly in the wake of the approach of November 13 visit of President Obama to Japan, 500 citizens in Tokyo got together at 2:00 p.m., November 8, in Mizutanibashi Park, the Ginza, to march through downtown Tokyo in solidarity with the Okinawa People's Rally against Base Construction in Henoko that was concurrently held. 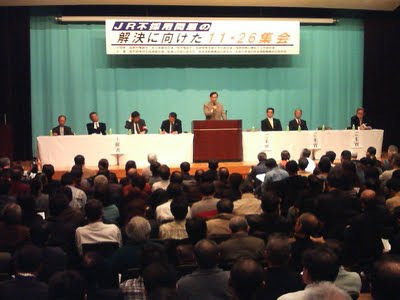 The Tokyo rally was organized by the executive committee for preventing base construction in Henoko. 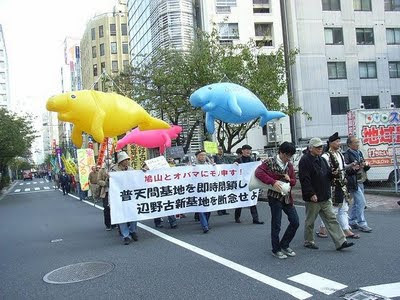 With dugong-shaped huge balloons pt up and in various eye-catching costumes, they appealed to citizens out on Sunday streets of central Tokyo with chants, "Don't kill the sea of dugons! 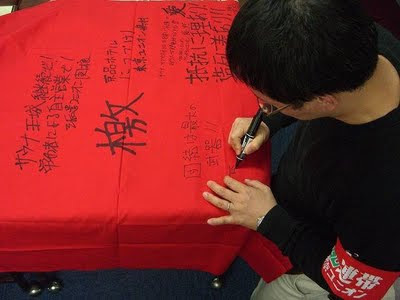 "and "Out with US bases in Okinawa!" 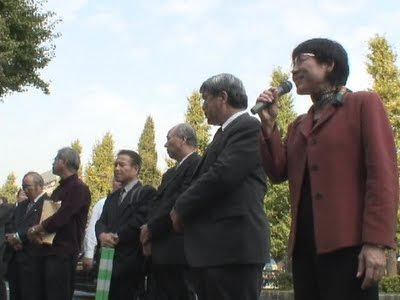 After once disbanded in Hibiya Park,they gathered again in front of the US embassy for the rally representative to make appeal (TM at the reporting department) See animation on the Ginza demonstration.